Marcus Stroman didn’t last long for the Jays while Masahiro Tanaka took them to school as the Jays dropped their opener in the Bronx. Sean Nolin had an abbreviated start, as reported by Ben Wagner who tweeted about it during the game. He retired seven batters in a row but then he ran into trouble and left in the middle of the third inning and was ultimately charged with three runs on one hit, two walks and a HBP with three strikeouts. Mike Zagurski didn’t give up a hit but walked four and struck out two in 1 2/3 innings. John Stilson and Ryan Tepera each threw two innings although Stilson was much more successful. THe offense didn’t get a lot going, but Jared Goedert had three hits and is quietly putting together a very good season for the Bisons. Jonathan Diaz went 2/4 to bring his batting average up to .143. Roster Notes: IF Munenori Kawasaki was called up to the Jays and RHP Steve Delabar was sent down to Buffalo. P.J. Walters gave the Fisher Cats a professional start, going eight innings and allowing only two runs on six hits and no walks with six strikeouts but Randy Boone couldn’t close the door in the ninth, letting the Curve get back on top to make it a 4-2 game. The batters managed a grand total of eight hits including K.C. 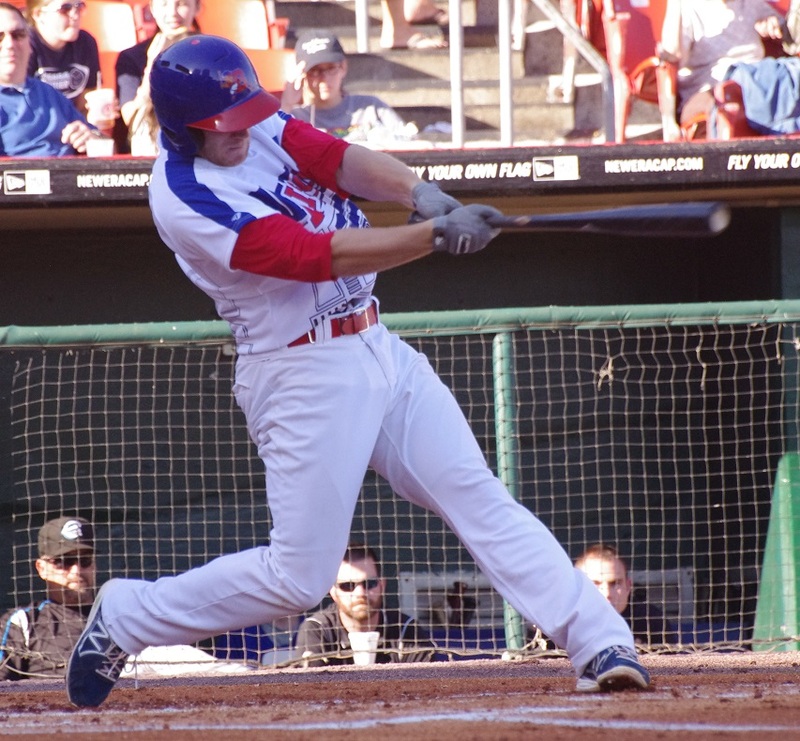 Hobson‘s first Double-A home run. Andy Burns went 1/3 with a double and a walk while Kenny Wilson was 2/5. The Blue Jays were behind the eight-ball early after Ben White left the game with the bases loaded, three runs in and without retiring anyone in the second inning. All three runners came in to score on Chad Girodo who allowed another two runs of his own. Efrain Nieves surrendered the last two Brevard County runs and Tony Davis, Wil Browning and Danny Barnes combined to finish the game run-free. The batters did try to make a game of it, getting contributions from Santiago Nessy (2/4, 2B, RBI) and Emilio Guerrero (2/4, 2B, 2 RBI). After a heartbreaking, late-inning loss on Monday, the Vancouver Canadians sent 20-year-old Dominican righty Starlyn Suriel to the mound and he was outstanding, throwing five scoreless innings, allowing three hits and two walks and striking out three. Unfortunately, the bullpen let the club down in the second consecutive game, allowing four runs over the last two innings. Joe Lovecchio took the loss, allowing all four runs despite only one being earned over 2 2/3 innings. 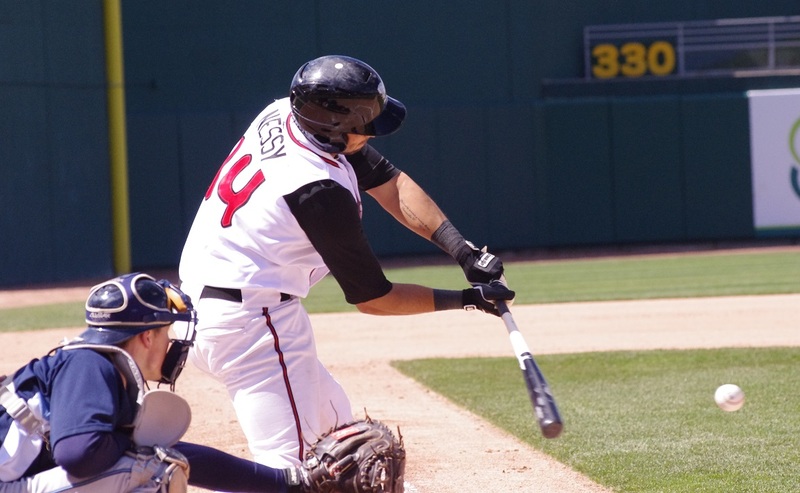 The Volcanoes couldn’t silence the bat of Franklin Barreto who went 1/3 with a walk. Going under the radar is the fact that Barreto made his third and fourth errors of the season (in just five games) and, despite his advanced bat, has a lot of work to do defensively. David Harris added two of his own hits and stole a base but also made an error. The DSL Jays got another win thanks to some great pitching by Jose Nova and Yonardo Herdenez. Nova went four innings and allowed just two hits and a walk with three strikeouts while Herdenez finished the game (5 IP) and allowed the one run on five hits and struck out one. Antony Fuentes had another good game, going 3/4 while Rodrigo Orozco was 2/4. Buffalo’s starting pitcher hasn’t been announced yet but it’s more than likely to be Kyle Drabek (4-6, 4.46 ERA). Drabek has had very few good moments this year and hasn’t been very good lately. Travis Banwart (4-2, 3.59 ERA) goes for Columbus in a 7:05 PM game on MiLB TV. The Fisher Cats also haven’t announced their starting pitcher for today’s game but I wouldn’t be surprised to see Daniel Norris make his Double-A debut. Norris has been dominant as a 21-year-old in the Florida State League and will look to be able to do what Matt Boyd couldn’t in his brief time in New Hampshire: convert success in Dunedin into success in New Hampshire. Whoever the starter is will have to go against 23-year-old lefty Zack Dodson (1-3, 4.29 ERA) at 7:05 PM ET. At 6:35 PM, the D-Jays continue their series with the Brevard County Manatees, sending Taylor Cole (5-2, 2.19 ERA) to the mound against 25-year-old Austin Ross (5-1, 2.79 ERA). The Vancouver Canadians return home to start their schedule at Nat Bailey Stadium and will probably have Alberto Tirado on the mound against the Spokane Indians at 10:05 PM ET.